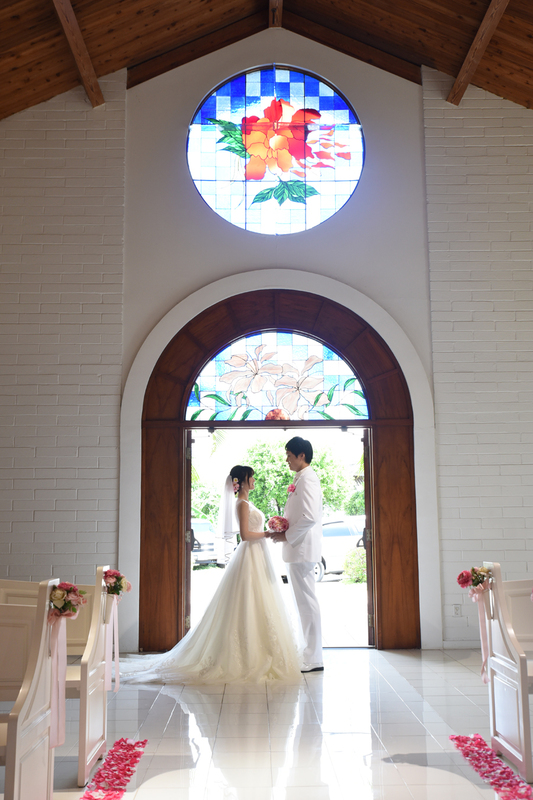 Beautiful stained glass entrance at Honolulu wedding venue, Primarrie Church, located about 10 minutes drive from Waikiki. 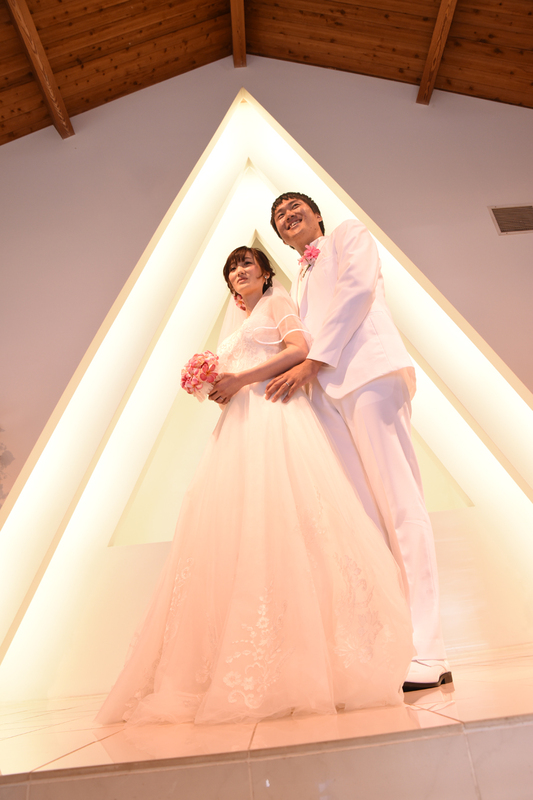 Triangle design is an eye-catcher in the wedding photos. 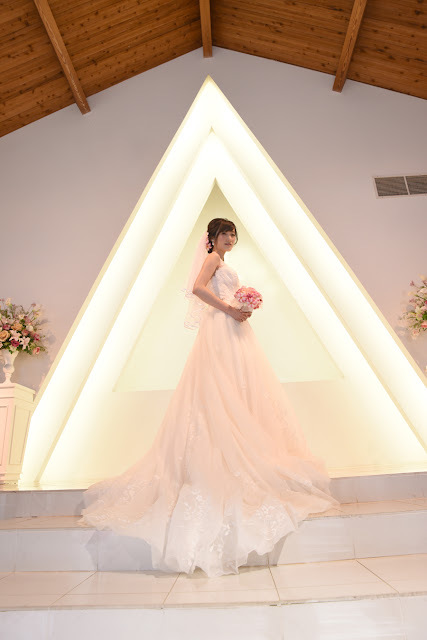 Stunning photo of Japanese Bride in a triangle of light outline. 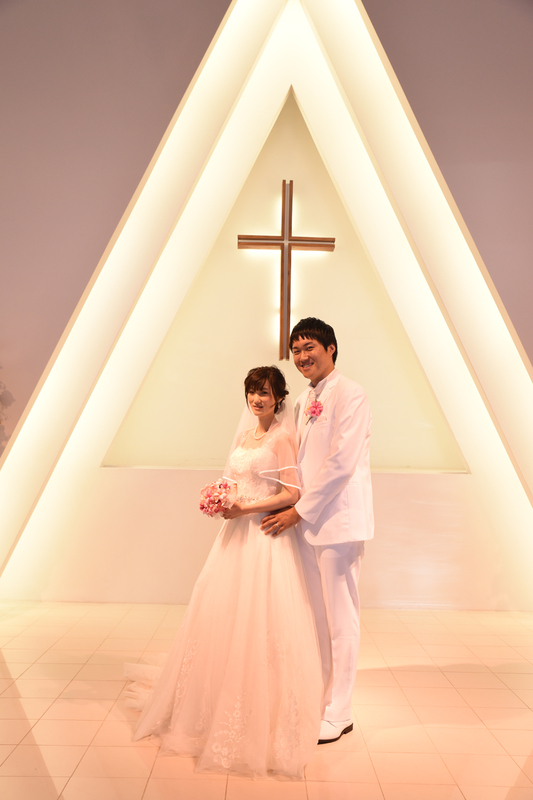 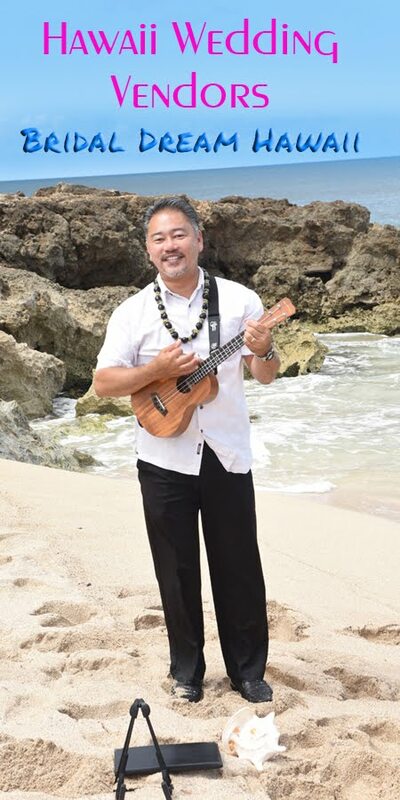 Contact Oahu Photographer Robert Hamilton for wedding photography in Honolulu.